Governor Patrick has signed into law some of the strongest environmental laws in New England. We’ve made huge progress on expanding clean energy, such as solar and wind, but this is a step in the wrong direction. It’s time to push forward for clean renewable energy and conservation. When BostonCAN members came together in June to reflect on our successful spring campaign on natural gas leaks, we decided we wanted to spend the summer re-framing our work more broadly, targeting the natural gas industry in general and particularly this pipeline. 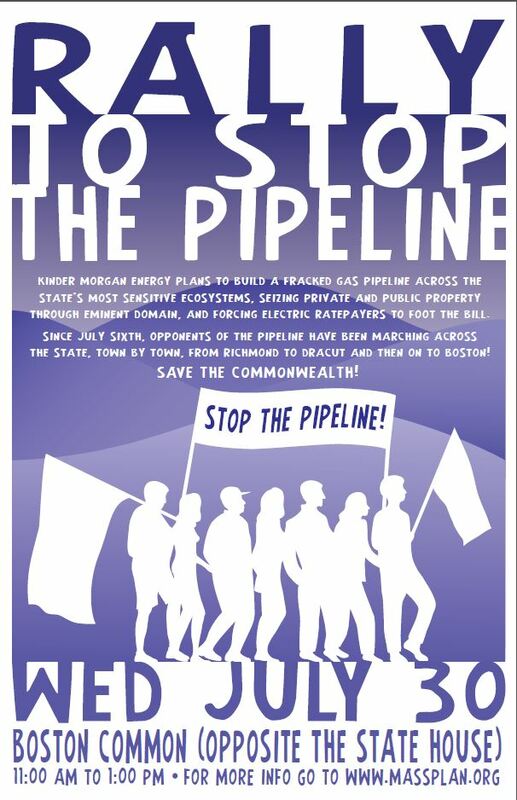 * A smaller contingent of rally goers will lobby their representatives at the State House between 9 and 11 am. If interested or with any questions, contact ninya.loeppky@gmail.com. Previous Article Leaking Natual Gas Pipes: Dangerous and Costly!